Adding crystals to water is both visually appealing and healthy. The water becomes infused with crystalline energy! It is a known fact that water carries mineral information, and, following this principle, gem-infused water can provide effective remedies that act quickly on a physical level. The use of Gem Water is similar and complementary to the wearing of crystals, but the effects are not necessarily the same. 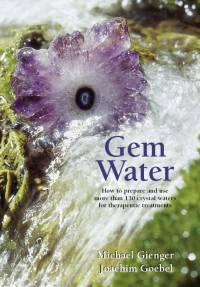 This book will tell you all you need to know about the correct way to prepare Gem Water and provides important information on which crystals are appropriate to use (some are not!). The concept may appear simple at first, but you need to apply it with care, and the book explains all the facts you need to know before getting started. The book features over 100 Crystals and 34 special mixtures with their effects as Gem Water remedies.